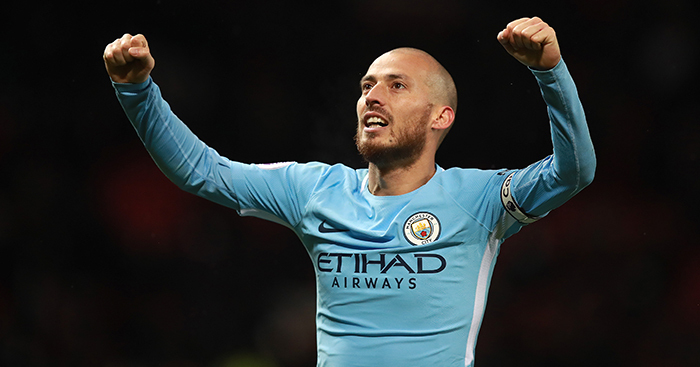 BETTING analyst Adam Wallis (@SharpSignals) shares his verdict on Wednesday night's Premier League showdown between Everton and Manchester City at Goodison Park. The Premier League title race is heating up and a nice midweek encounter between Everton and Manchester City promises plenty. The champions are back to being favorites to retain the title, while Liverpool struggle with injuries and the mid-table teams low block. Meanwhile, Everton suffered a crushing defeat to newly-promoted Wolves on Saturday as they were beaten 3-1 in front of their Goodison Park supporters. Everton are sitting in ninth with 33 points they are closer to the drop than they are the top – 11 points above 18th-placed Cardiff and 14 adrift of Arsenal. Their home form puts them up a place into eighth with 21 points (W6-D3-L4). Losing Leighton Baines in the first-half on Saturday and Phil Jagielka still out, Everton will look to Lucas Digne to replace Baines. Yerry Mina is also an injury doubt here whilst Idrissa Gueye could also miss out as selection concerns mount for the Merseysiders. Facing the champions in front of your home crowd when you are in need of a good performance is always going to be difficult. The Toffees controlled possession (63%) against Wolves and matched their opponents shots on-target (four) but it was the quality of those chances that let them down, and this seems to be their problems this season. Defensively the Toffees are not great – they sit 11th in the league based on their goals against figure and that figure will only increase here as Manchester City come to Goodison Park the knowledge they can return to the top by goal difference with a win. Manchester City have been below-par over the last few weeks by their lofty standards, especially away from home. In their last five away matches City have W2-D0-L3, losing to Leicester, Chelsea and Newcastle – the Citizens will be desperate to put points on the board here. Sergio Aguero hit a hat-trick at the weekend with yet again a goal within the first minute of the match as the Citizens dispatched of Big Six rivals Arsenal 3-1. They outperformed their opponents in the Expected Goals metric 3.12-0.63. Over the next 18 days City have a tough set of fixtures playing Everton, hosting a Premier League fixture against Chelsea, then an away trip in the Champions League to face Schalke, before back for the EFL Cup final against Chelsea at Wembley. Pep Guardiola will want a win here and preferably be out of sight early so he can rest some of his superstars. With Benjamin Mendy is still not ready for a return and its likely that some players will be rested with John Stones, Leroy Sane and Riyad Mahrez all on the bench at the weekend with Kevin De Bruyne likely to be given a rest. As usual it’s the same sort of prices on offer for most of Manchester City’s matches against mid-table teams – the visitors are long odds-on at 3/10. With Everton’s recent form and City’s quality and desire to return to the top of the league, I think that this will be a win for the away side by at least two goals. So I am looking to back in the Winning Margin market and the two selections below that pay around 6/5 when backing both. Previous ArticleWest Brom v Brighton: Ali J to strike for Seagulls?